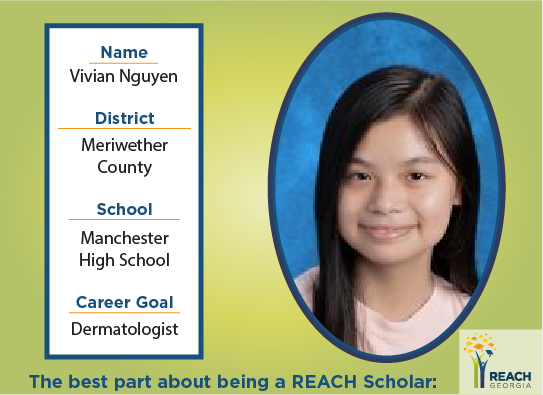 The best part about being a REACH Scholar is having a mentor to guide me and help me with anything I need. I benefited from it by becoming more involved in the community and experiencing new things that I wouldn’t have otherwise been. My future outlook did not change, but the opportunity to reach my goals has changed.